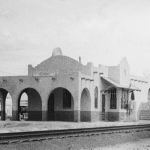 The HD SOUTH building, home of the Gilbert Historical Museum, has been a cornerstone of the Gilbert Community for decades. 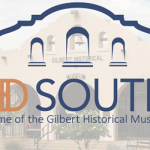 An important town landmark sitting at the south end of the Heritage District for more than 100 years, the HD SOUTH building is home to many prominent Gilbert events. 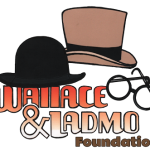 Our calendar is dominated by our signature annual fundraising gala – A Night at the Museum – Gilbert Comes Alive, but we also host several other annual events that capture the imagination of the town. Thank you to everyone who made our 2019 Gala such a success! Our largest event fundraiser our signature annual fundraising gala ~ A Night at the Museum, started in 2012. 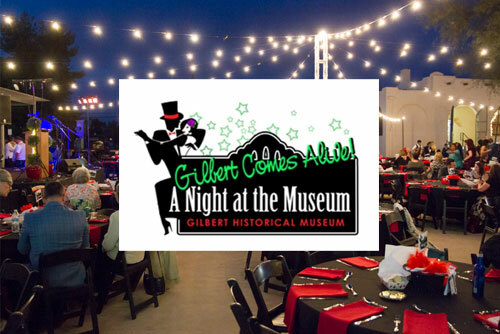 Enjoy a spectacular evening of incredible food and live entertainment set in the magical, evening ambiance of HD SOUTH, home of the Gilbert Museum. 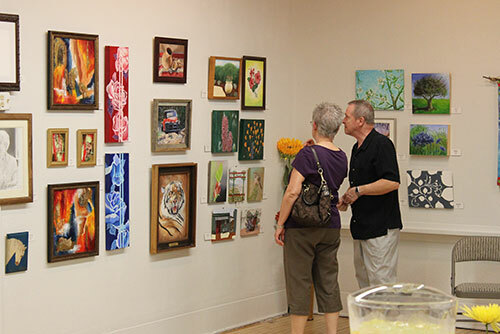 HD SOUTH is delighted to host the Gilbert Visual Art League’s community art shows in Gallery4 twice a year. Shows are open during normal hours, Tuesday through Saturday, 9am to 4pm, and access to Gallery4 is included with general admission price. 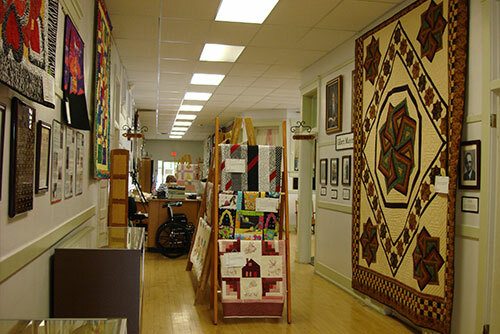 The Art of Quilting Show displays many different styles of quilts made by members of our community. For more information please contact us or give us a call at (480) 926-1577. 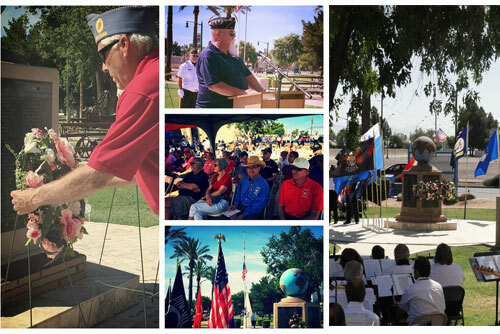 Every year the Gilbert Historical Society, along with American Legion Post 39, is proud to host Gilbert’s Memorial Day service on the museum’s front lawn, where monuments honor Gilbert residents who have served in our nation’s armed forces. The service begins at 9 a.m. and includes a flag ceremony, the laying of wreaths and recognition of veterans in attendance, as well as musical entertainment and a variety of speakers. All Gilbert residents are encouraged to attend to honor those who have died in service. We encourage you to bring lawn chairs as seating is limited for this popular event. 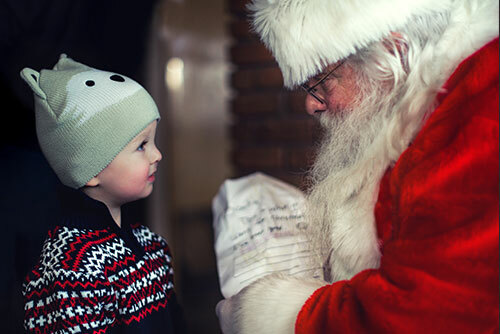 Thank you to everyone who made our 2018 Breakfast with Santa such a success! We also hold a variety of smaller events and exhibit grand openings throughout the year, so like us on Facebook and stay up to date with the latest information! If you have any questions about HD SOUTH or our events, please feel free to contact us using our contact form or give us a call at 480.926.1577.